#BritishAmericanTobacco is being accused of bribery in Sri Lanka. I support an immediate government investigation into these allegations! 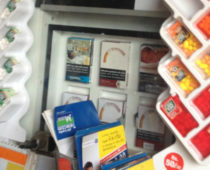 In 2013, Sri Lankan media carried reports that Ceylon Tobacco Company, a unit of British American Tobacco, allegedly tried to bribe health minister Maithripala Sirisena to stop new rules requiring graphic health warnings on tobacco products which would inform smokers about the health hazards of smoking and encourage smokers to quit and prevent nonsmokers from starting to smoke. Lanka Business Online: "Sri Lanka BAT unit denies bribery allegations"